Inventory management is the system you use to oversee the movement of products in and out of your business. For an e-commerce company, this mostly relates to the flow of products through your warehouse rather than a physical store, but the same principles apply. Numerous inventory management strategies exist that serve to track stock, manage invoices and orders, govern inventory-related accounting, and other elements. 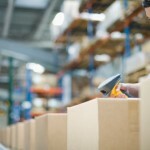 Here are some tips for maximizing the capabilities of your inventory management system. Business owners can usually identify roughly how much inventory they have available. Not all can say how many weeks of supply their stock makes up. By keeping in mind how many sales your current inventory can support before being restocked, you can link inventory levels to sales projections. Generally speaking, the ideal inventory level is just enough to match predicted sales until restock arrives along with a buffer in case of sales spikes, late stock delivery, or other complications. Having more inventory than you need does little more than increase overhead costs. Tracking the flow of stock, limiting seasonal items, and reducing products that don’t sell well are basic ways to improve the state of your inventory. This may seem like an obvious point, but it can be shocking how many businesses don’t do this. If you suspect there are ways to improve your inventory management but can’t identify a method yourself, consider hiring an outside consultant. Inventory consultants provide an expert, fresh look at your inventory management practices and can advise you on ways to improve accuracy, shipping and receiving, order management, and other elements. Having a means of tracking—ideally real-time tracking—your product deliveries is an important part of inventory management. A product can’t be considered out of your hands until it’s firmly in the customer’s, so knowing how well the delivery system works is integral. Spotting and ironing out inefficiencies and delays in deliveries not only increases the speed of inventory turnaround but it’s a good way to boost customer satisfaction too. The same system that takes your customer’s order should ideally be the same one that your warehouse workers use to know when they have to send products out. Having a unified, real-time inventory management system not only reduces possible miscommunication between moving parts but is easier to manage and provides oversight of the supply chain. Chances are that you are too busy managing your business to handle every detail of your inventory management operations. This is why hiring an inventory control specialist can help. These specialists manage inventory items that are in stock and in transit. This includes performing adjustments, validating the condition of received products, implementing inventory reporting strategies, and maintaining efficiency of your inventory management systems. APS Fulfillment, Inc. is a specialist in direct mail marketing and e-commerce product fulfillment based in Florida. Visit our website for more tips on how to identify the best e-commerce, inventory management, and shipping fulfillment strategies.